Exciting to see this project come to life! A new outdoor amenity for students and faculty at Santa Clara University! 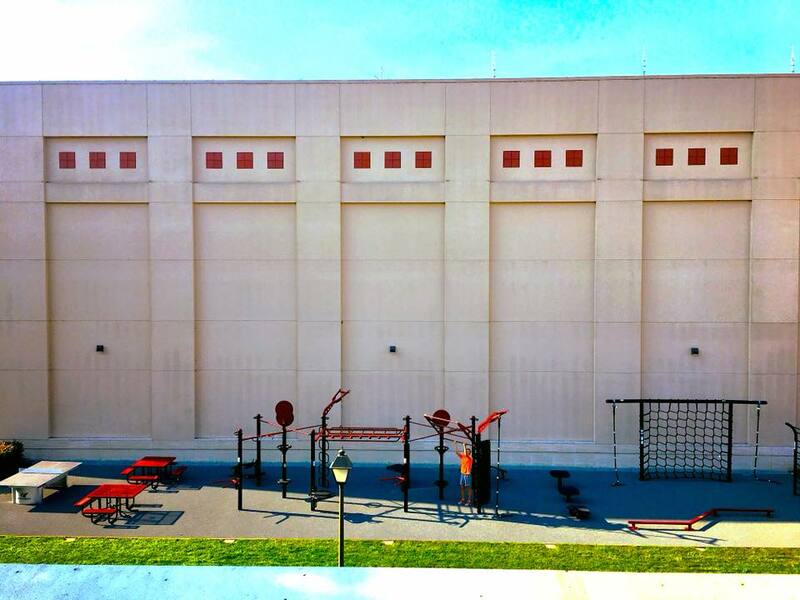 The University utilized an unused courtyard to create a dedicated outdoor functional fitness area! 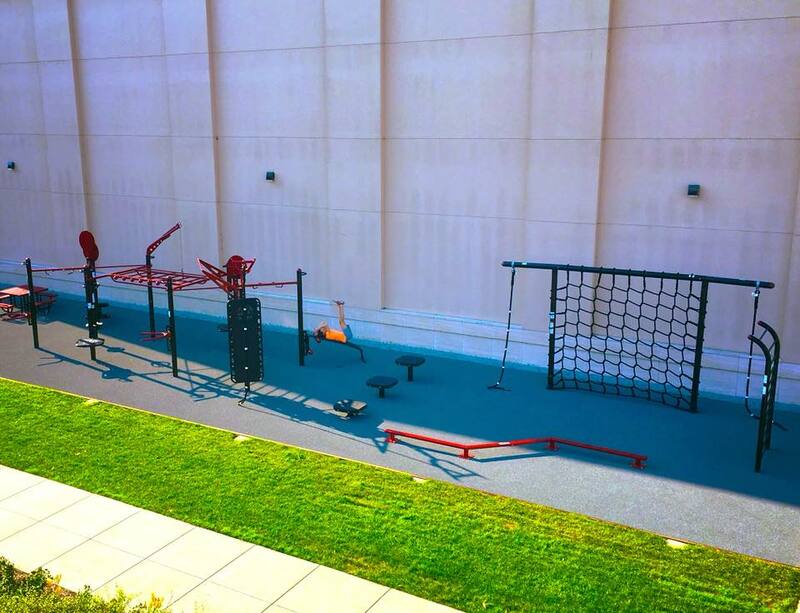 The MoveStrong FitGround on this beautiful campus includes the MoveStrong T-Rex 10-Post with monkey bar bridge, CargoNet with Rope Climb Stations, Stall Bars, 3 size Plyo-Steps, Zig-zag balance beam, along with a new rubber surface. What a great outdoor fitness amenity for students and staff to take advantage of to stay fit under the California sun!